Nazaria March y Mesa was born in 1889 in Madrid, Spain. She was the fourth of eighteen children. 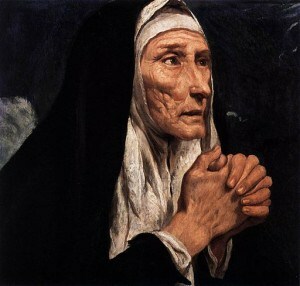 Early in her life she made a personal vow of consecration to God. Her family, however, did not nurture her faith. In fact, because of Nazaria’s excitement over her faith, she was once grounded from attending Mass! Later, however, her grandmother encouraged her to be faithful in practicing her faith. When life in Spain became difficult, Nazaria’s family moved to Mexico. During the move, Nazaria met and was inspired by several sisters who belonged to the Institute of Sisters of the Abandoned Elders. In 1908 she entered the order, and was sent to Bolivia to serve as a cook, housekeeper, nurse, and beggar for the poor. She was faithful to these tasks for twelve years, but began to feel a call to found a new religious order. In 1925, with six other sisters, she founded the Congregation of the Missionary Crusaders of the Church. Their mission was to teach children and adults about the Catholic faith, to support the work of priests, and to conduct missions. During the war between Bolivia and Paraguay (1932-1935), the sisters cared for soldiers on both sides, and opened homes for war orphans. 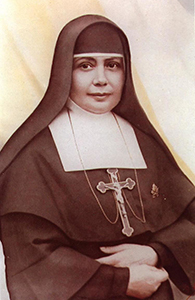 Also during that time, Mother Nazaria founded the first magazine for women in Bolivia in religious life and the first female trade union. 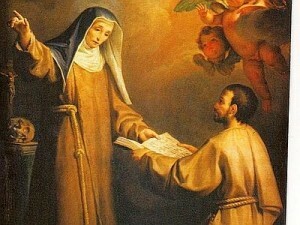 On her path to sainthood, Mother Nazaria led by example, serving as a model of both holiness and simplicity. She did all she could to encourage her sisters, to strengthen their sense of unity, and to keep them strong in their devotion to their ministry. On October 14, 2018, Pope Francis named her a saint of the Church. Primary Grades: Early in Nazaria’s life, she made a vow of personal consecration to God. Invite the children to name promises they can make to God and what they can do to keep those promises. Intermediate Grades: Saint Nazaria’s grandmother encouraged her to be faithful in practicing her faith, even though Nazaria’s parents did not encourage her to do so. Junior High: On her path to sainthood, Mother Nazaria led by example. She modeled both holiness and simplicity. Invite each young person to write a paragraph about someone in his or her life who leads by example. 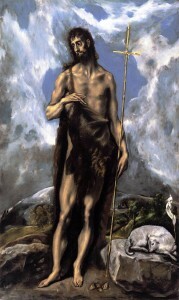 What virtues does that person model? Ask volunteers to read to the class what they have written. Then lead a discussion about the opportunities the young people have to lead by example at home, at school, on their teams, and in their neighborhoods.